SINGAPORE - Four years after launching the $8 billion Pioneer Generation package which helps 450,000 Singaporeans with their healthcare needs, the government is now turning its attention to those born a decade later. These 500,000-odd Singaporeans, born between 1950 and 1959, currently get $100-$200 in annual Medisave top-ups. But a Medisave top-up is not the same as the Pioneer Generation package, said Prime Minister Lee Hsien Loong at the National Day Rally on Sunday (Aug 19), adding: "We have not forgotten this group." He then announced a new Merdeka Generation package for Singaporeans born in the 1950s, most of whom are now in their 60s and have left the workforce or will soon be retiring, and have similar health concerns as the Pioneers, who were born in 1949 or earlier. Like the Pioneers, the Government will help them with outpatient subsidies, Medisave top-ups, MediShield Life premium subsidies and payouts for long-term care. But the benefits will not be as large as those offered to the Pioneer Generation, since those from the Merdeka Generation are generally better off than their seniors. Details of how much they will get will be announced later, Mr Lee said, but promised that a "significant sum" has been set aside for them. Explaining why the Government is extending this helping hand, he said the Merdeka Generation "lived through the tumultous years of the 1950s and early 1960s as Singapore first struggled for independence from the British till it gained full independence in 1965". 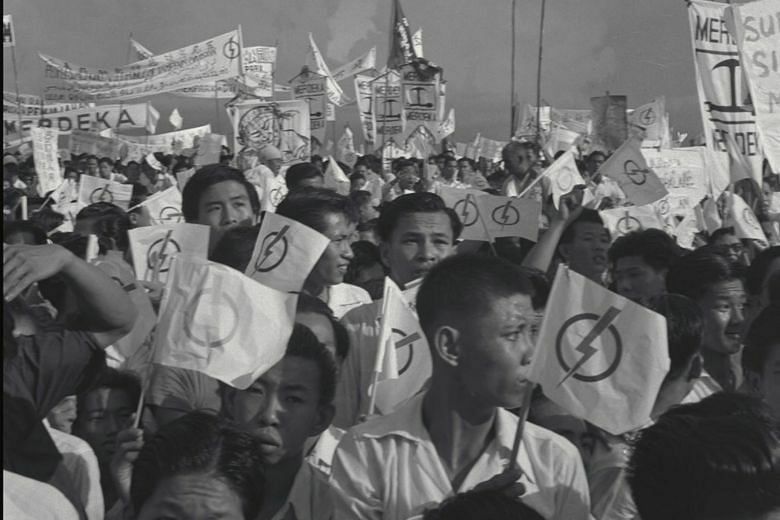 The People's Action Party won the General Election in 1959 and formed the government for the first time. Then came the split with the communists, merger with Malaysia, separation and independence. "For those born in the 1950s, these were indelible, formative experiences that shaped them for life," said Mr Lee. They heard the rallying cry of Merdeka: Liberation, freedom, independence. "One word that expressed the determination and passion, the ambitions and aspirations, of a people who were roused and on the march," he said. And seldom have people been more roused than on June 3, 1959, when the then newly-elected Prime Minister Lee Kuan Yew told a huge rally crowd at the Padang: "Once in a long while in the history of a people, there comes a moment of great change. Tonight is such a moment in our lives... We begin a new chapter in the history of Singapore." Mr Lee said he was proud to be one of the Merdeka Generation. This group, he said, "accepted hardships, made sacrifices, answered the call of duty, and worked with their leaders to build a better tomorrow". They lived through the battles and upheavals and had seen how their parents "scraped and slogged for them". When they grew up, they understood instinctively what was at stake. They earned more, and saved more in their CPF, than the Pioneers, said Mr Lee. "But of course, the cohorts that came after them did even better." The Merdeka Generation, he said, has similar healthcare concerns as the Pioneers and now "are looking at their CPF savings and Medisave accounts, worried about having enough for their medical needs as they grow older".